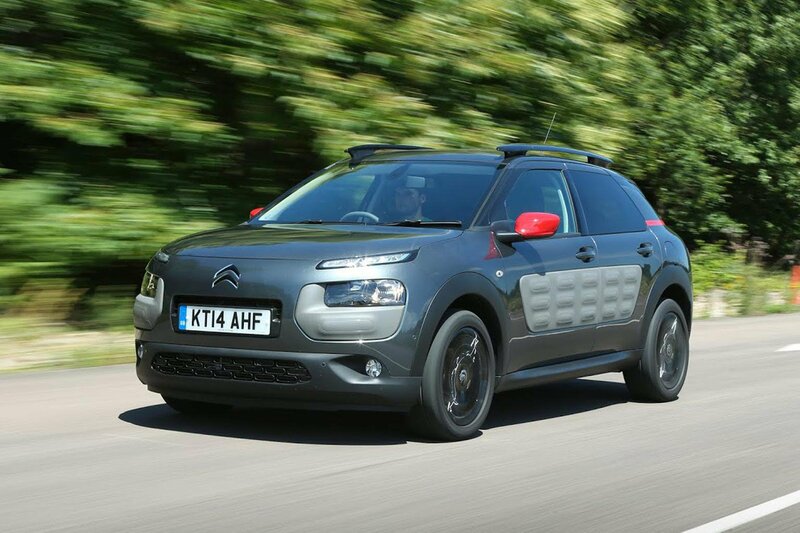 Deal of the day: Citroen C4 Cactus | What Car? The Citroen C4 Cactus is the French firm’s answer to the Kia Soul and the Nissan Juke. It’s based on an innovative platform that means the Cactus only weighs around a tonne; this has benefits across the board from improving fuel economy to increasing performance. The 1.2-litre turbo three-cylinder engine is the most potent unit in the line up. Despite this, it still returns 60.1mpg on average and emits just 107g/km of CO2. It’s reasonably peppy around town and doesn’t feel out of puff once you get onto the motorway. Soft suspension can absorb the worst that Britain’s roads can throw at it, only being jarred by the worst lumps and bumps. The outside is dominated by the thin LED daytime running lights and the contrasting ‘Airbumps’ – air-filled rubberised panels on the side of the car to protect it against parking scrapes. Inside, the plastics aren’t the densest or the softest to the touch, everything feels nicely textured and well assembled. Exciting is not a word you'd use to describe how the Cactus drives. The soft suspension means lots of body roll, and the steering has little sensation. The manual gearbox feels rubbery in use, too. There are a few niggles around the cabin that are the result of cost-cutting measures. For example, the rear windows pop-out rather then roll down, the rear bench seat folds forward as one unit rather than the more common 60:40 split, and the steering wheel adjusts for height, not reach. Other small gripes include the decidedly mediocre ratings insurance body Thatcham gave the Cactus, four out of five for avoiding theft and only three out of five for resisting a break-in. This isn’t exactly mitigated by Citroen’s reliability record, which was rated as average in our most recent JD Power survey. The car in this deal comes in mid-range Feel trim and comes with almost all the equipment you could want. A touch-screen infotainment system, DAB radio, USB input, cruise control, air-con, Bluetooth and a leather-trimmed steering wheel are all standard. You can upgrade the infotainment system with sat-nav for a fee but we’d avoid moving up to Flair trim because it adds only small cosmetic details. Head to Drivethedeal.com and select Citroen and C4 Cactus from the drop-down menus to see the full range of deals available.